I found this small, self-contained, beautifully presented little book in one of the immense and rambling biblio-temples of Hay and Wye. I read the first page, then put it back, whereupon it leapt from the shelf and prostrated itself at my feet. Quite frankly, who was I to refuse? It was the perfect experience to start my journey into the world of Gaiman’s Neverwhere. Gaiman’s power lies in his ability to thrust you so deeply and so fast into a tale that its landscape becomes your own. In this case, we’re in a London as seen through a twisted, tarnished mirror, where Mushroom People are less feared than the Shepherds of Shepherds Bush, and there’s an actual Elephant at the Castle. A Floating Market drifts from notable location to notable location – we first encounter it in the halls of the Tate Gallery, with the food court in the Pre-Raphaelite Room. It’s a dizzying ride of a tale, full of treachery, desire, and flocks of folks whose greatest yearning is not to be alone. There’s something truly special about a short story bound in book form – a complete reading experience in only a few thousand words. This treatment puts immense pressure on the tale itself. It needs to be strong enough to stand solo, to earn that slim, stand-alone space on a shelf (even if it does have a tendency to throw itself at your feet). There needs to be enough energy writhing on the pages to consume, be it only for a brief time. The reader must emerge reeling slightly, satisfied by an excellent tale impeccably told. In short (pun intended), they should feel they’ve read an entire novel, simply in a very condensed and efficient form. 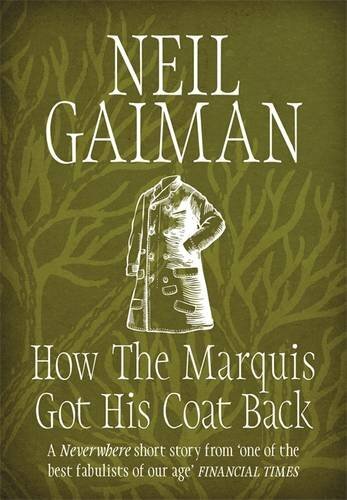 In How The Marquis Got His Coat Back, Gaiman achieves all of that and more. I propose a new genre, of which this mini masterpiece can be counted as one of the first – flash novels. What do you think? They say you shouldn’t judge a book by its cover, and while it isn’t why I decided to read Neil Gaiman’s The Ocean at the End of the Lane, there’s no denying the shiver of pleasure I felt whenever I glimpsed it. Featuring the silhouette of a skinny boy swimming in a fathomless ocean, it led me to expect a protagonist with the bravado and wildness of JM Barrie’s Peter Pan. 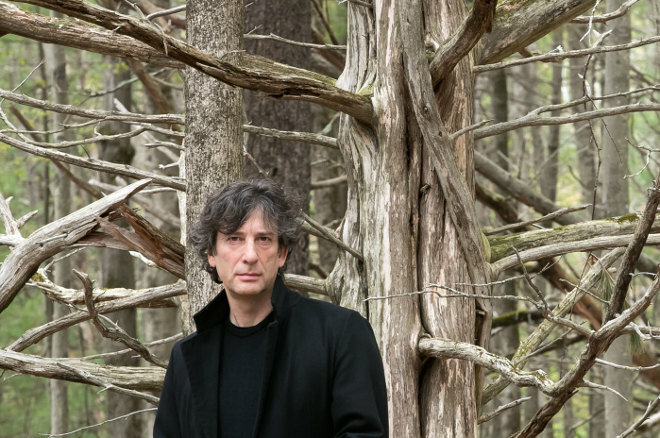 Gaiman weaves magic into the story with deft matter-of-factness. The boy takes it in his stride, with a child’s acceptance that the world is, of course, filled with things he doesn’t understand. He reads voraciously, mainly his mother’s old novels crammed with children foiling spies and criminals, and relishes simple details such as sleeping with the windows open so he can listen to the wind and pretend he is at sea. When the lodger commits suicide something is stirred into wakefulness and needs to be bound to its place. Lettie takes the task on, and brings the boy with her into a place with a sky “the dull orange of a warning light.” It’s a journey which leads a mass of horrors that Gaiman refers to subtly enough to require us to do some of the imagining, the neatest way possible to ensure we take on the boy’s terror as our own. There’s a skill to perfectly balancing dread, suspense and beauty in a fairytale. Gaiman manages it with enviable ease, often offering comfort in the form of food from the Hempstocks – paper-thin pancakes blobbed with plum jam, honeycomb “with an aftertaste of wild flowers”, drizzled with cream from a jug. It’s at once utterly, earthily bucolic, and curiously reminiscent of the meals eaten by fairies in the stories I read as a child. The horror comes in the form of the unnamed creature who hangs in the sky like “some kind of tent,” with a ripped place “where the face should have been.” Cleverly though, that’s far from the worst of it, as Gaiman gives her human form, then lets her get the boy’s father to do terrible things. It’s a chilling revelation, this idea that however much she may have encouraged, or even cajoled, the deeds committed came from some dark place deep inside the boy’s father, not from the monster’s will. And then there’s the ocean, at the end of the lane, that resembles a duck pond yet contains all the depths of the universe, and, it seems, all its possibilities too. A beautiful book – grotesque and magical – that every adult should read, if only to remember the brave, frightened children they once were. 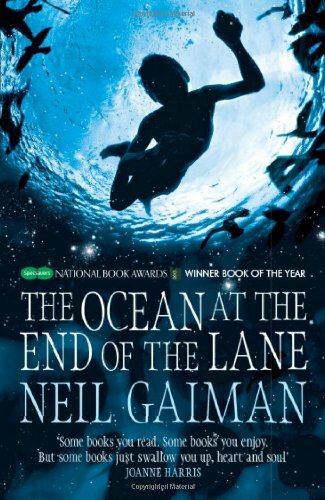 The Ocean at the End of the Lane by Neil Gaiman is published by Headline and is available to buy from Amazon.